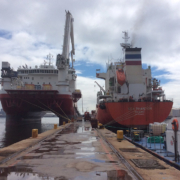 AMSOL manages Ship-to-Ship (STS) operations off the South African coast and in South African ports, utilising specialist personnel and equipment to mitigate the high risk associated with these fuel transfers. The company has the resources, enabling infrastructure, supply chain and experience required to professionally ensure efficiency and economies of scale in managing these operations to high international standards, in compliance with the requirements of the South African Maritime Safety Authority (SAMSA). STS operations are managed in accordance with the OCIMF Ship to Ship Transfer Guide for Petroleum, Chemicals and Liquefied Gases and OCIMF STS Service Provider Management manuals. A Preferred Responder Agreement concluded with South Africa’s foremost spill response Company who are placed on immediate notice whenever STS operations are conducted. AMSOL recently transferred 1 000 tonnes of Marine Gas Oil from the ‘Sea Phantom’ to the dedicated Offshore Accomodation Vessel ‘Venus’, as well as 11 610 tonnes of Marine Gas Oil from the ‘Sea Phantom’ to the ‘Sivui’ at Landing Wall. 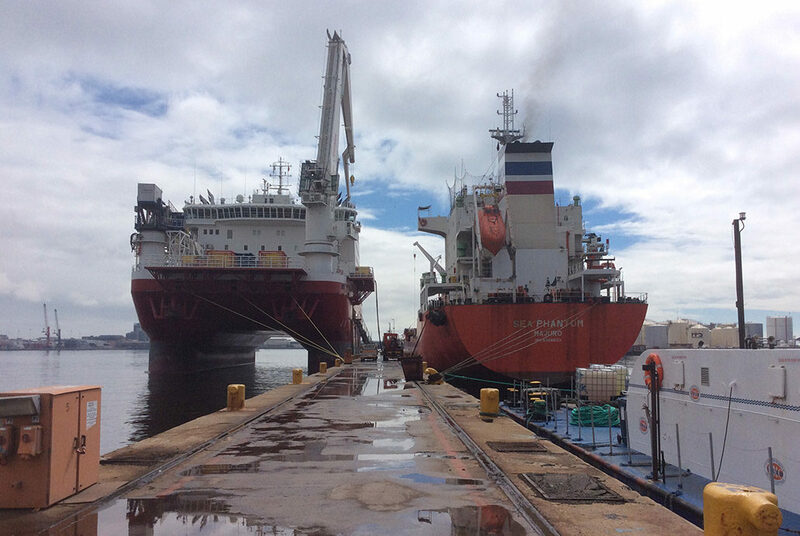 Both transfers were conducted in the Port of Cape Town.